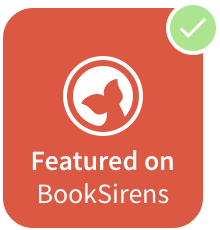 When you review a book for the 2015 European Reading Challenge, please add it to this list using the linky widget below. 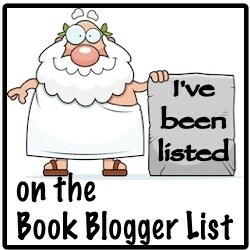 Please link to your review post, NOT the main page of your blog. If you don't have a blog, post your reviews in comments on this page. NOTE: There is overlap in January 2015 between the last month of the 2014 challenge and the first month of the 2015 challenge. If you participated both years, only count books read in January in one of the years, not both. For my first book/review (#1), I goofed - I should have put "Avid Series Reader, The Soldier's Wife, UK". 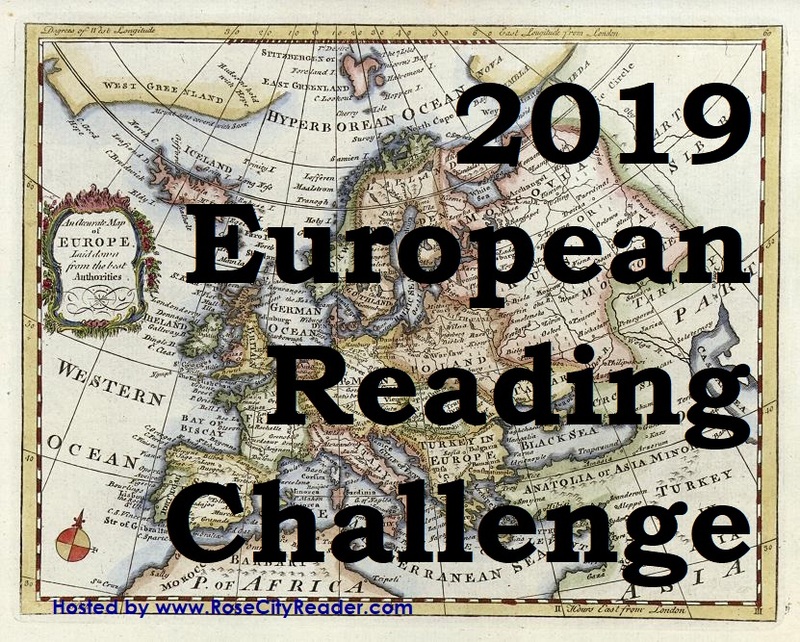 Last year I listed only one book per country, although I think you might have meant for us to list each book read with its country (even repeats of the same country)...so that's what I'll do this year. Oops, #19 should include "UK" to indicate where in Europe - Sorry! hi everyone! i just posted my first review for the challenge. it's a short story by Nikolai Gogol. I forgot to put the name of the blog, it's Marcelle and the name of the blog is lesserknowngems. What can you say about an author such as Graham Greene? He wrote many worthwhile reads during his 87 years. This is well known but not as a book but rather as a movie, particularly with a movie with compelling music. What can be said about Graham Greene is that he never lost sight of the commercial possibilities of his writing projects, even those he didn't invent himself. In the last couple of years I have read several of his diverse books or, in this case, a novella based on a screenplay to create a movie. Most books were not based on cliches but this is all about popular themes of postwar Europe, at least as western audiences looked at them. Set in a ruined postwar Vienna, you quickly meet the narrator and from the narrator learn of a story of the black market, corruption, a mysterious woman... This is a story based on American expectations of what postwar Europe ought to look like and perhaps it did. The recommendation I read that caused me to read the book, points out that the book and the movie are inseparable: the book sets the scene and the movie (which I have not seen) tells the story. By itself, I found the novella worth reading. It was quick to get through and told a dark story with much to think about if you find postwar Europe fascinating... which I do. This book is set in West Flanders where the young Louis moves from childhood through adolescence into young adulthood from 1938 to 1947. His place in life is mostly learned through religious education, an education that starts before WWII and initially is unaffected by the war. Time passes and wartime society becomes an important part of his life. His parents are collaborators: his father needs business to survive as a printer so he develops politically questionable business relationships; his mother needs the job so her family can survive so she has an affair with her boss, a leading Nazi in the occupation government. Through it all, our young central character survives and eventually thrives among his schoolmates, his other friends, his neighbors (and for the Jews and Gypsies it does not end well, of course), and some interesting and eccentric relatives. The reading can amuse you if you don't think too much about the background. Eventually, the story evolves into the young man as a budding author...who succeeds. This is to some extent the story of the author although I am sure nothing is as simple as you might think from the book. Worth reading? Yes but entirely different than the other books I read last year. Rather than being a novel going from point to point, this is instead a series of stories about the construction of a bridge, the life of the community around it and the eventual destruction of the bridge. The place where the bridge was located has a new bridge, actually has had more than one as time passes and wars require bridges and that said bridges be destroyed, always for military necessity. The existence of the bridge is important but the book is about the governments and the religious society around the bridge. It was built by the Ottomans at a time when they controlled that part of the Balkan Peninsula. The nature of the project and the way it was finished are almost a sidebar. What matters more is the society that controlled it and the way the community developed around it. Time passes and important incidents tell the story of the community. Eventually, the Austro-Hungarian Empire prevails and one day their troops are in town and control the bridge. Wars in the Balkans are not uncommon. Factions in communities nearby view the bridge and attempt to control it. Due to its military necessity, plans to destroy it and explosives planted that could destroy it. World War I happens, amid the tug of war among the armies, the day comes when the Austrians can no longer keep the bridge and it is destroyed. This book is centered on a bridge but its real value is in the description of the Ottoman society which build the bridge and controlled it for a couple of centuries which tells part of the story of the modern day Balkan wars. Another part of this tells the story of the local Jewish people, the cooperation among religious leaders but the inevitable results for the local Jews. The local Christian leaders become part of the story. The cooperation and the disagreements and the eventual struggles of WWI finish the book. The challenges over several hundred years are challenges faced today. The author died before the current struggles among the former Yugoslavian states but much of what happened in recent years is explained by this book. We know the author from the book 1984 which we were all required to read. He made a living from writing, starting with his days as a policeman in what is now Burma, and continuing to his premature death. I developed an interest in his work between his time in Burma and his late work with the book 1984 through an article in BBC News about George Orwell, the mediocre author. I have since read most of his midlife novels and am reasonably impressed though not in agreement with his political beliefs. This is a book that tells the story of a young man trying to get by in the big city. He isn't doing well as he works for a small wage in a bookstore. In other words this is about class struggle. Gordon Comstock would like to be better off but is not particularly interested in working hard for it, perhaps can't figure out how to work smarter. He aspires for a better life but also rejects it, as he rejects the aspidistra plant as a symbol of the middle class. in the end the question for the reader is whether his inability to succeed is based on capitalist exploitation or his inability to make something of himself. I didn't go looking for this popular book but my wife read it for her book club and I felt the need to read something we had paid for. This is an easy book to read, perhaps too easy as I like a challenge so can feel what I am doing is worthwhile. WWII approaches its end and the central characters find themselves trapped in St. Malo, now surrounded by allied troops, under attack from time to time, but not being invaded, at least not yet since the allies have more important things to do to the east and the Germans have other priorities. A blind girl loses her father but improbably enough survives in German occupied France. The goodness of the neighbors and nearby merchants help but she does have an uncle too. The German is a radio expert who maintains communication and also assists with counterespionage. He needs to move to a new location for technical reasons. By coincidence, he has learned French from broadcasts that came from the house where the blind girl lives, broadcasts that were from several years before the war. He needs to move into the house. There is also a valuable jewel involved which is hidden. This is an award winning novel which depresses me a little since I found it overly simple and, as I said, improbable. But it was a quick read despite its length and I can't deny enjoying it. This book is supposed to be a compilation of interviews by a veteran shortly after the end of WWII with German soldiers who fought and survived the American Sector of Normandy on D-Day. The author is son of the interviewer and is working with a manuscript dating from the 1950s. I found it quite interesting. I have recently read quite a bit about the D-Day events and the following couple of months which was prompted by the 70th anniversary of the invasion. The writing is graphic and sometimes detailed, sometimes not so clear. Despite my reading, I cannot claim to be an expert on what happened on Omaha Beach and other places on D-Day. There are reviewers of this work who are experts. Some have expressed the opinion that this is not actually based on interviews from soldiers who were resisting the invasion on the spot at the time. One, in particular, believes a person supposedly interviewed could not have been where he said he was. Therefore, this reviewer and others wonder if this was instead fiction written more recently. Either way, it is an interesting book to read. As fiction, it is not quite the same, of course. As is so often the case, I read a review in some publication or another which encouraged me to find this book and read it. I know from reading the blog that this book was recently on the nightstand of a well known Rose City reader. She may have different opinions than I do. I have to admit that I don't have a lot of patience with downright silly plots and I think truth is a defense to slander, if my comments are slanderous (technically libel, of course.) That being said, this book was a fast read and had its amusing parts. I enjoy having reality as we know it in the early 21st century being improved by a series of strange events. Certainly, we are all familiar with those who are politically correct or afraid to seem ignorant, allowing others who act self assured to get away with exaggerated or downright bizarre philosophical or political positions. In this case, a simple mistake with the misappropriation of a suitcase and the results as the wrong person gets away with philosophical fraud and the right person finds himself in a life changing situation are delightful if you don't think too much about it. The surrounding cast of characters helps too. The willingness of the intellectual or quasi-intellects to be convinced of unusual or unlikely beliefs is certainly amusing. We see such people every day but don't think much about them. In any case, I wonder if I should regret spending the money on this book. At the same time, after finishing it I gave it to my wife and urged her to read it. our favorite waitress knows we enjoy reading and urged us to read this feelgood book. The story begins with a young doctor as he starts the practice of medicine in Ireland. The description of scene and personalities is set. There are the necessary number of good experiences and an appropriate number of small and large mistakes. The doctor learns from these mistakes. He recovers from his chagrin over the mistakes. He makes a real difference in the lives of others and impresses the old, wise doctor with whom he is practicing. He considers other possibilities but ultimately decides to practice where he is as a partner with the older, wiser doctor. The result is not only a happy professional life but also a profitable book series for the author. The book is easy to read and provides a pleasant view of life in Ireland...before the bombings and all that would have made the practice more interesting. During 2015, I read a number of books recommended by contributors to a book I bought ten years ago called 1001 Books to Read Before You Die. I may not make it but keep reading. This is a Gothic novel set in France and Italy. The central character is imprisoned by an evil guardian. Eventually she gets away or else this book couldn't have been written. For the balance of this book she travels away from the guardian with several supporters who help her out. There is obviously terror, suspense, etc. but this book also offers a view of society around her. There are many mental issues involved. I suppose a modern writer would take a different approach, considering all we know (or think we know) from the research and writings of psychologists and psychiatrists of the last 150 years. The author is particularly recommended for her ability to describe the world around her. Still, the main point to all of this is that a young woman is able to struggle against her guardian, escape, survive the terror imposed upon her and eventually make a life...at least I think so. A leading author from Portugal with a Nobel Prize for Literature offers a fascinating book. It is actually not about the Siege of Lisbon, except in passing. instead, it sets the scene but a bored proofreader decides to change a book by adding the word "not" to a sentence so that the book tells the reader that the Saracens siege of Lisbon did not end because the crusaders helped the king but rather that the crusaders did "NOT" assist the king, thus changing history. The book is published, after a few hundred sell, the unsold books are withdrawn and an errata slip added, and the proofreader is called to account. The purpose to the book is what happens next. He has a new, younger supervisor who he barely knows. She doesn't fire him but instead the two of them develop a relationship, eventually a romantic relationship. Part of the story is that he then writes a history based on an alternative war in which the crusaders did not show up to help Portugal. The premise is silly but the writer got a Nobel Prize for this work so who am I to complain. It was worth reading. Those who follow the Rose City Reader in most cases must have read Dr. Zhivago, the really long but really interesting novel by Boris Pasternak which was later turned into a really long movie which didn't abuse the book's plot too badly. The history of Boris Pasternak under Stalin, the writing of the book, the publishing of the book, the response of the Soviet government, and the final years of Pasternak's life, make a great story in and of themselves. To begin with, there is the survival of the author when so many others died: Stalin liked his poetry and didn't think he had any political beliefs. The story of writing of the book continues this history. It was not a matter of sitting down to write it. There were others who kept quiet who saw the work and helped in a small way. The publishing of the book and its translation make an interesting story too. Just because the Americans were't involved with the USSR doesn't mean that the Western Europeans were't around and the one copy of the book ended up in the hands of a publisher who wanted it published and it was, in translation with English being the last major language to see it. Unfortunately for the author, he got very little from his work. He received some royalties but couldn't accept most of what he earned. When he was awarded the Nobel Prize for Literature, he was pressured to reject it and did...and died. After Pasternak's death, Khrushchev read it "in retirement" He relied on his son-in-law who told him not to allow its publication. He realized it was not that bad but it was too late. Subsequently, it has been recognized as a modern classic, been translated into even more languages, been awarded the Nobel Prize that was earlier rejected and heirs have received money that should have gone to the author. This was an excellent book to read since those of us old enough to remember the bad old days of the USSR, had no idea all this was going on. One cannot help but admire people with an amazing imagination and unlimited creativity, even if you can't always understand what they are up to. This is another "classic" which I think perhaps didn't need to be written...but it amuses, has an audience and deserves to be read by those who want to be amused. This is not a novel or nonfiction book and it is a dictionary only in the sense that it is organized as if it might be biographical dictionary but for the minor matter that the subjects of the dictionary didn't exist. It is based on the supposed lexicon of the Khazar people, a Turkish people who were in the Balkans for a time. The work is based on the attempt to reconstruct this lost lexicon by a Christian, a Muslim and a Jew. The work therefore has three threads of philosophical thought. A better person than I would have actually followed them more completely but there are different ideas based on the same "history". Once you decide to get into the game, reading about the characters or other aspects of the history, can be delightful. There are a lot of stories to read and images to attempt to visualize. I am sure the author was serious about what he was doing, that is he had a point to it, but for a person without advanced degrees in literature and who doesn't read Serbian, it mostly looks like the author was just screwing around. It didn't take long to read and there was something appealing about it as I progressed through the work. This was a book I should have read earlier. Just prior to this, I read a serious history of the Lincoln Brigade (so-called) in the Spanish Civil War. It was better history but less personal. The author was serious in his belief about socialism and the struggle between the classes. A reader of Down and Out in Paris and London knows that he had his moments when he recognized what the lower classes were experiencing, etc. I don't believe he was a communist but in this book, he sides with the communists. He goes to Spain as a journalist and when he gets there, signs up to fight for the republicans. Good or bad, he signs up to fight for the Trotskyite side of the communist party and the Soviets don't think the others should exist. (The Lincoln Brigade was with the soviets.) In the short run, it worked for the best for him. He was fighting for what he believed and was comfortable with a political philosophy that would have gotten him shot by the soviets. (He was later convicted and sentenced to death by the soviets in Spain but was conveniently back in England by then.) In any event, this tells the story of his brief adventure as a soldier with the Spanish Republic. Eventually he is shot in the throat but obviously survives and is nursed back to health by his wife who has come to help him in the war and helps him escape the collapse of the republic. He does make one memorable response worth remembering: when told he is the luckiest man in the world to have survived being shot through the throat, he comments that anyone in the world who wasn't shot that day was luckier still. Fascinating book which was not great history but a fascinating memoir. I keep reading classics, as others report them through 1001 Books to Read Before You Die and this is one. The author was the first woman to receive a Nobel Prize for Literature and that is something. The book is recognized as a masterpiece of Swedish literature. I haven't read Swedish literature so am not qualified to say much. This book is based on stories from the hinterlands of Sweden as I understand it. It comes from the Swedish "wild west" or the medieval equivalent. The named character: Gosta Berling is leader of a group of "cavaliers" who like to do heroic things and hang out living on the charity of others. He was a priest but was defrocked for being drunk in public, etc., which makes him closer to Kid Shelleen in Cat Ballou than any of the characters in the Magnificent Center. Still the group of cavaliers does some good as well as sponging off of others. In other words, we end up with a series of stories which are popular in Swedish literary circles. It was an interesting read though I don't keep up on Swedish literary traditions, particularly going back to the middle ages. When she was the most recent female recipient of the Nobel Prize for Literature, I felt I should read some of her work. There isn't much. The most recent was this book. 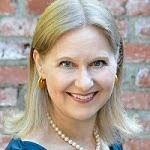 (She also wrote The Zinky Boys which is about the Afghanistan war in which Soviet soldiers came home in zinc coffins.) This book is the story of the Ukraine, post Chernobyl and is a series of interviews organized according to what has happened. You learn the story of the immediate events from people in the plant, those who fought the fires, those who survive those who died, those who supervised the fire fighting, etc. You learn the story of those who dealt with the aftermath: those who were sent in to kill the surviving animals and try to mitigate the damage. You learn the story of those who quietly returned to areas that have been evacuated. It is a compelling story as it is told through the interviews. That this major catastrophe was initially hidden and discovered because the radioactive cloud blew into Sweden is amazing though the secrecy wouldn't have lasted long in any case. Subsequently, the author's home country of Belarus was badly hurt by the disaster which obviously motivated her to research and write so this book could have been about Belarus instead of Ukraine. In any case, discovering and reading this compelling book was a great experience for me.